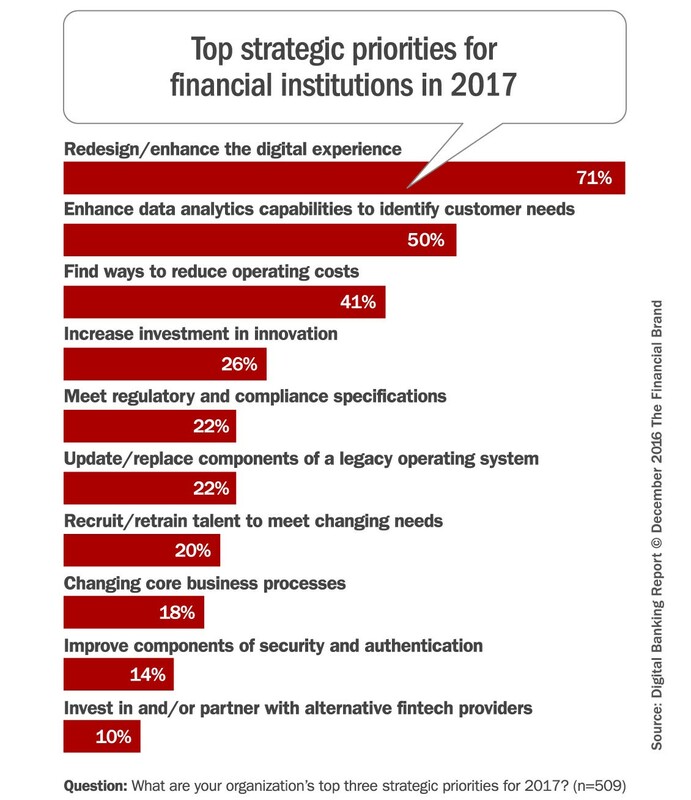 According to a report by The Financial Brand, the top two strategic priorities for banks at the 2016 both focused on improving their customer centricity, primarily by transforming their overall digital experience. Banks and fintechs knew that in order appeal to digital natives, they needed to go through a complete digital transformation, and they need to do it right – with the customer in mind. However, most banks and financial institutions are still lagging far behind on updating their back-office systems. The same report even shows that only 22% prioritized updating their legacy IT system. This is a bigger problem than you may think, because for many financial institutions, outdated back-office systems prevent front-end updates from succeeding. While banks are rightly focused on the customer experience, many of them forget to invest in the employee experience. By investing in the tools their employees use on a daily basis, banks can improve their efficiency and reduce their frustration. And, if you subscribe to Richard Branson’s philosophy, this will lead to employees serving customers better. So how to reconcile this commitment to making employees successful while shackling them with outdated software? Perhaps banks should invest some of the money from their CX programs into their back-office systems. After all, if employees do not have the proper tools to serve their customers, how can they be expected to deliver top quality experiences? Unfortunately, many banks are wary of the cost required to update an IT system that dates back to a time when computers took up entire floors in their offices. These financial institutions naturally come from a culture of cutting costs and avoiding risky investments. But when banks are unwilling to invest in the tools their employees need to succeed, it’s not just the employees who feel that frustration. If banks – or any organization with legacy IT systems – really want to commit to a customer centric work culture, they must remember that customer centricity starts with employee centricity. After all, as Peter Drucker says, “Culture eats strategy for breakfast.” Change the employee experience, change the culture, change the customer experience. Simple, right?